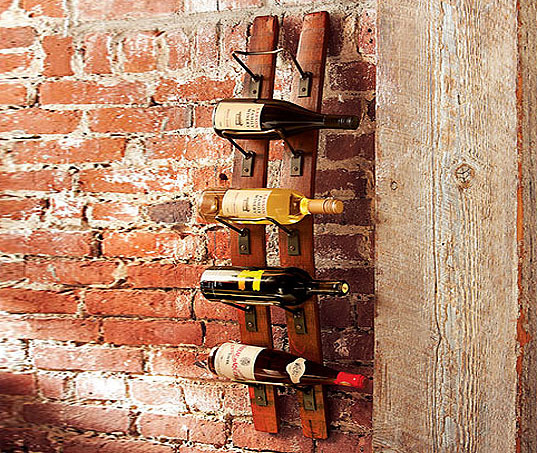 What better way to show off your collection of organic reds and whites than with this gorgeous wine rack made from the staves of old wine barrels? A nice nod you your bottles' origins, this handmade rack features five rust-finished iron cradles to keep your bottles safely in place. Each rack comes finished with a light protective lacquer in a beautiful mahogany tone, and its two backside brackets make for easy wall mounting.